ADMA student Tuyikunde Alan recording video for Reading For Change. 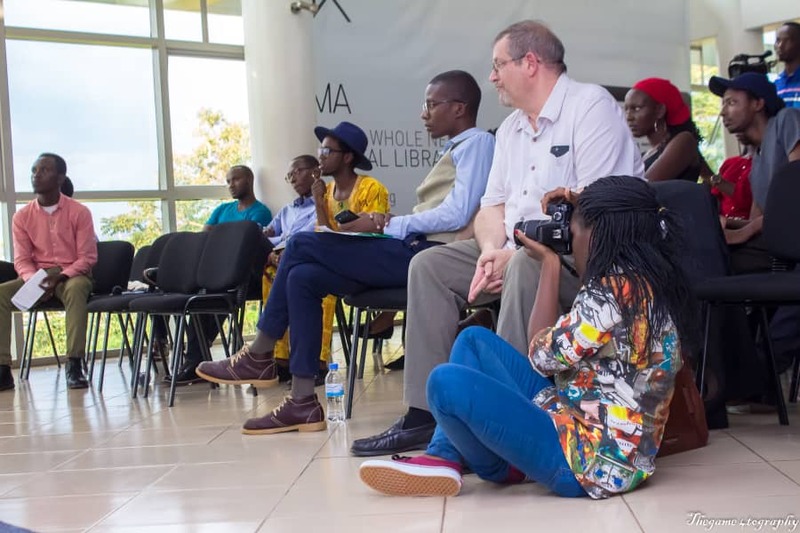 ADMA student Sandrine Iradukunda getting a low angle shot of the event's panel. 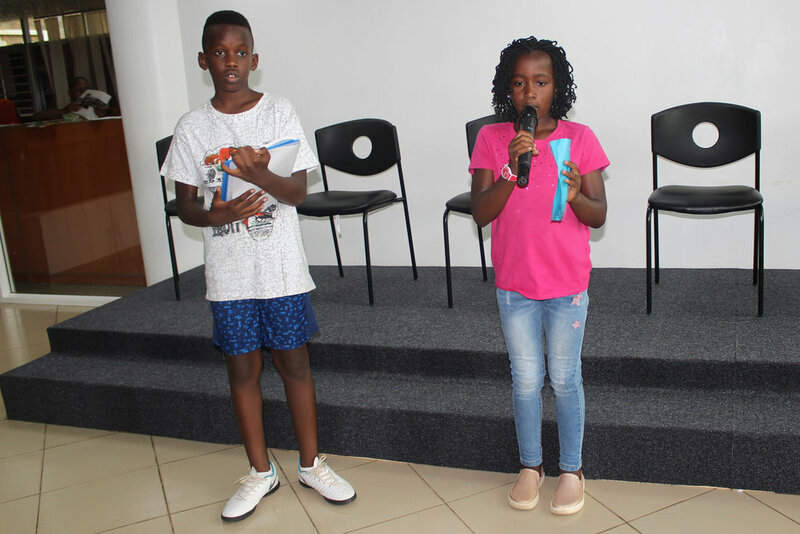 This past weekend, ADMA students Alan Tuyikunde and Sandrine Iradukunda filmed video and took photos of the 6th edition "Reading For Change" event at the Kigali Public Library. “Reading For Change” is a project for promoting the culture of reading and writing capabilities for the betterment of the society. One of the guest panelists at the event was ADMA Director Christopher Marler. This week, ADMA student Alan also delivered a promotional video advertisement from the footage he filmed at "Reading For Change". You can see that video at the bottom of this post! At ADMA, we encourage our students to do real project work and deliver something to the client that they can use. So when students propose to do project work, we often ask... "What is the deliverable?" When doing project based learning, it is important to have an end goal! Whether it be a video, a poster, an advertisement, etc. having an end goal "deliverable" means every decision that is made, from pre-production, to production, to post-production, keeps that end goal in mind. Knowing what the final deliverable will be is a great way to force oneself to work under conditions that require a high standard and informed decision-making, and is what REAL WORK is all about. There is no doubt Alan learned many many things doing this project which he will now use to make the next time, the next end goal deliverable, even better AND faster.